This is one of the places in Uttarakhand you won't find easily in the travel listicles and books. Located near Munsyari, the Birthi Falls can be seen in its full glory especially during monsoons. 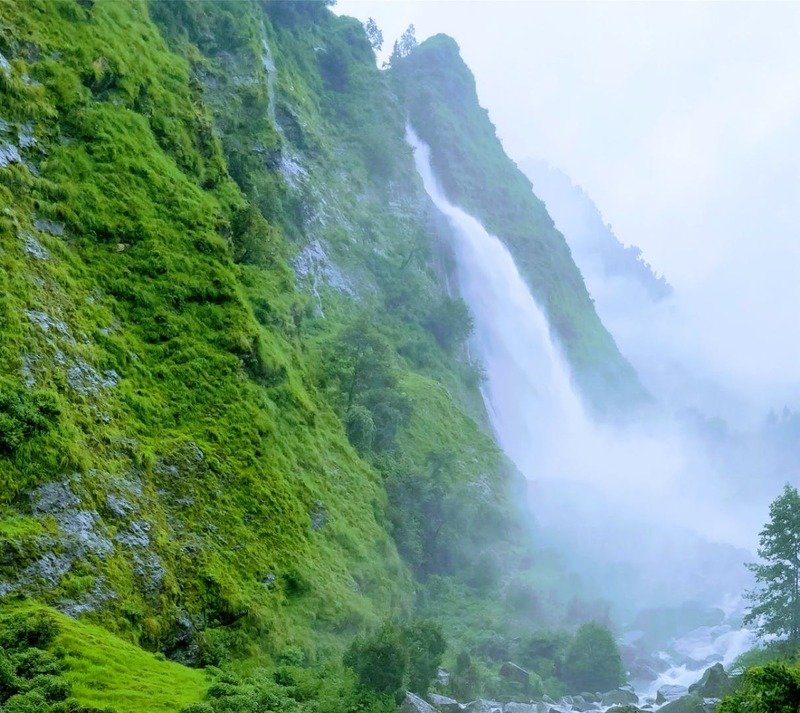 With greenery all around and water cascading at great speed, rainy season is the best time to visit this place and it's usually not crowded either. Don't forget to stop for maggi at the small dhaba located nearby. You can take a bus from Rishikesh to get here however, a private vehicle would always be recommended owing to the low frequency of public transport buses. There's a guest house of KMVN just near the waterfall which offers stay at affordable prices - you can get a room for four people for just INR 800 to INR 1,000. Munsiyari offers beautiful views of the high altitude Himalayan peaks and adrenaline junkies can head to the Khuliya Top trek which starts around 10-15 km from the waterfall. The trek is a completely wild and uncommercialised one.